Please watch the video below for a full demonstration of how to make a landing page on your RealtyNinja website. Every page on every RealtyNinja website can be turned into a landing page by simply adding ?landing=1 to the end of the URL (in the address bar). This is great way to increase conversion rates when you want to send targeted traffic to a very specific page or section of your website, and you don't want them to get distracted by all the links to other pages on your website. Step 2.) 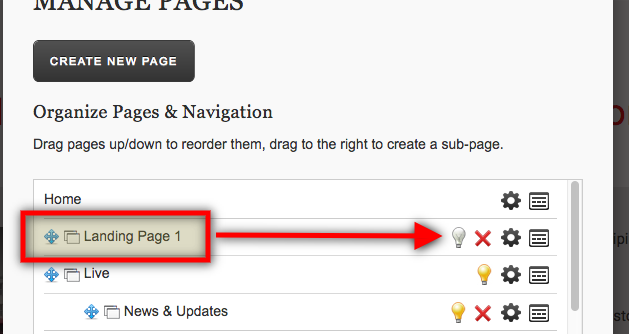 Click "Manage Pages"
Step 3.) Click "Create New Page" at the top of the popup. Step 4.) 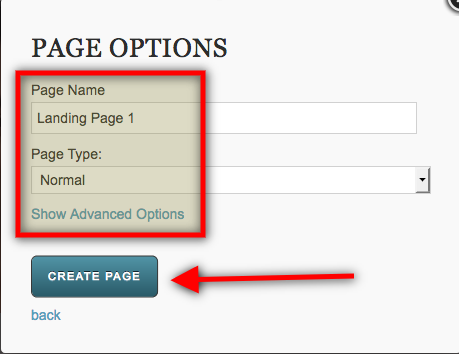 Give your page a name, then click "Create Page". Note: For these instructions we're just making a normal page, but you can choose any page type. Step 5.) Click the lightbulb next to the new page to turn it OFF, thus hiding it from the main navigation. Step 6.) 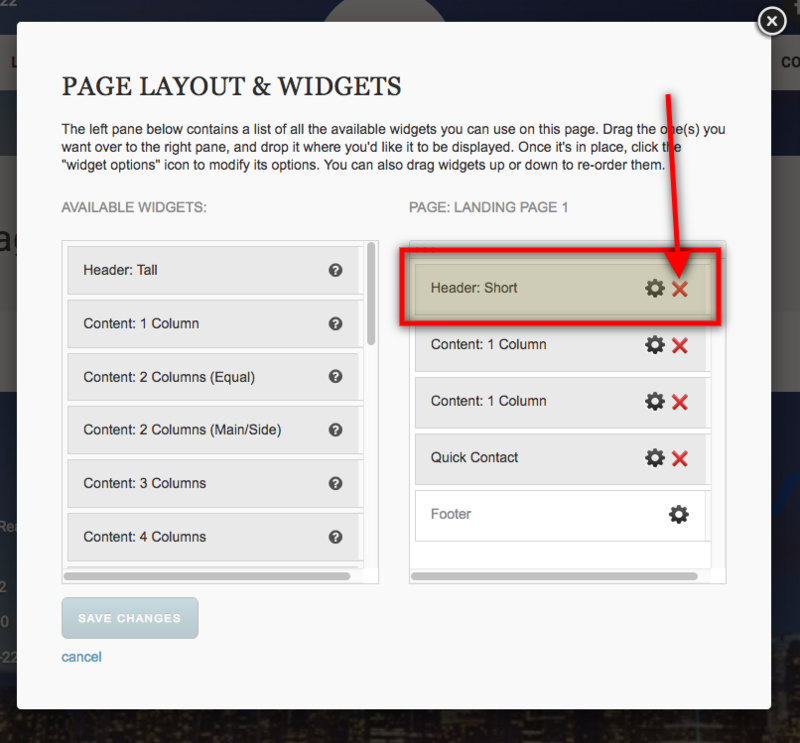 Staying in the "Manage Pages" popup window, click the Pages icon to the left of the name of your new landing page. This will take you to the new landing page. Step 9.) Click "Save Changes" at the bottom of the lightbox to save your changes and return to the page. Step 10) Simply add ?landing=1 to the end of the URL (in the address bar). This will tell the system that you're going to be using this as a landing page. It will ensure that any links on the page also remain in landing page mode (with no nav present). 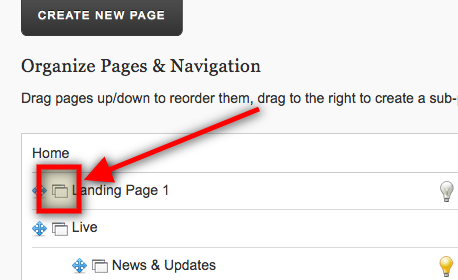 Step 11) Copy the URL of the page (with ?landing=1 in it). This is where you want to send your traffic to (for example from a Facebook ad).